The CW (Formerly UPN and The WB) has managed to latch on to some strong properties over the years, while of course picking up a few new ones, such as Gossip Girl. 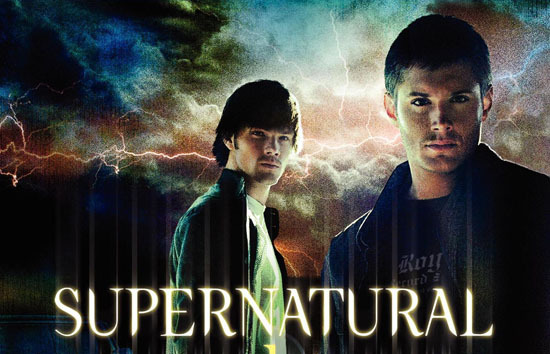 One of the original series’ that seems to stay strong, even in it’s fifth season, is Supernatural. This season, thing seem to get a bit more interesting as the show attempts some risky episode scripts. Back in November, the “Changing Channels” episode had the two brothers flipping into different fictitious TV shows, which were basic spoofs of the other shows in Supernatural’s timeslot. to a distress call from Martin Creaser, a former hunter (guest star Jon Gries) who’s a patient there. Creaser thinks supernatural forces may be the real reason behind a large number of patient suicides and is afraid for his own life, but the experience proves to be a very dangerous one for the Winchester brothers as well. Check out two brand-new clips from “Sam, Interrupted” after the jump. Be sure to catch this week’s episode Of Supernatural on Thursday at 9:00pm ET/PT on The CW.